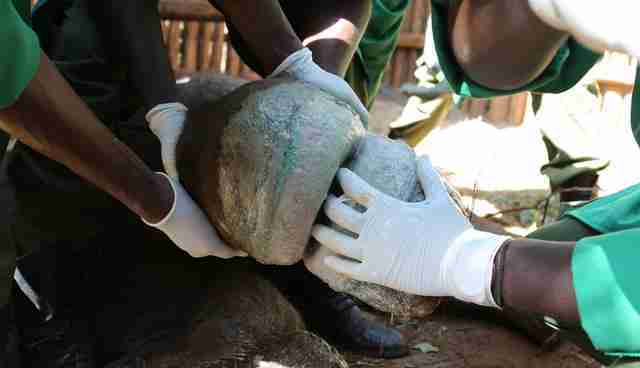 Today in "awww," a baby elephant took his first excursion since an ivory poacher's vicious snare trap maimed his leg. Here he is taking his brave first steps. 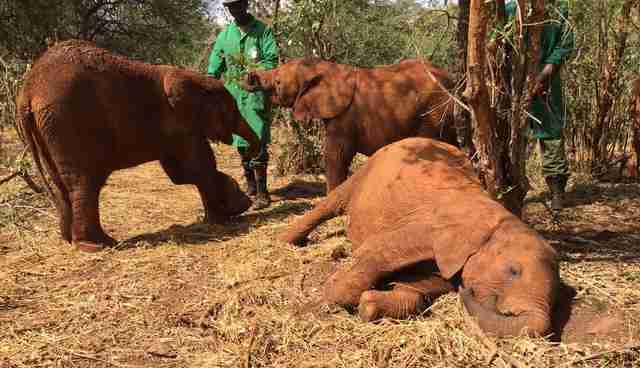 In early February, a team from the David Sheldrick Wildlife Trust (DSWT) in Kenya came across the bloodied baby elephant. He had bone-deep leg lacerations from the trap, and rescuers worried that he wouldn't recover. 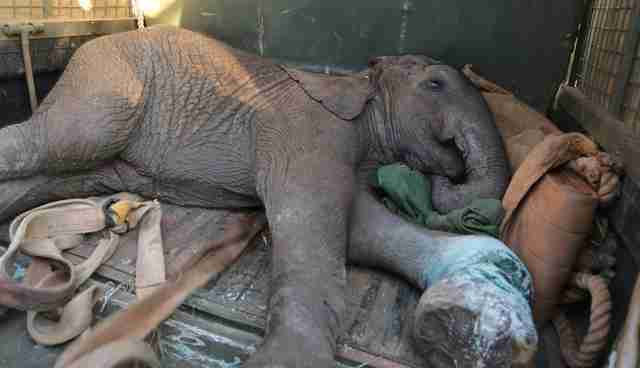 The poor little elephant was in lots of pain. Like this calf, many African elephants are orphaned when their mothers are killed by poachers. Sadly, they're often left with no one to look out for them. The rescue team took him in and named him. 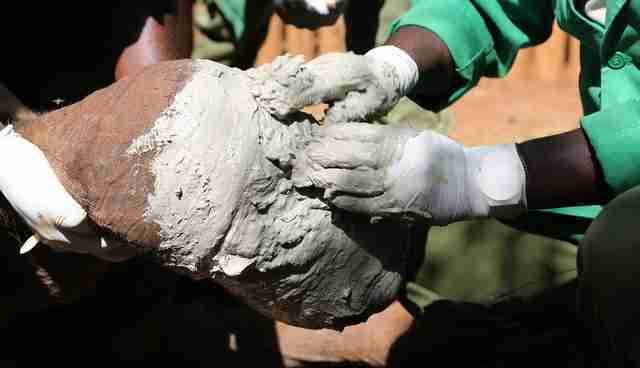 They cleaned his wounds every day and applied a medicinal mineral clay to help heal his injuries. 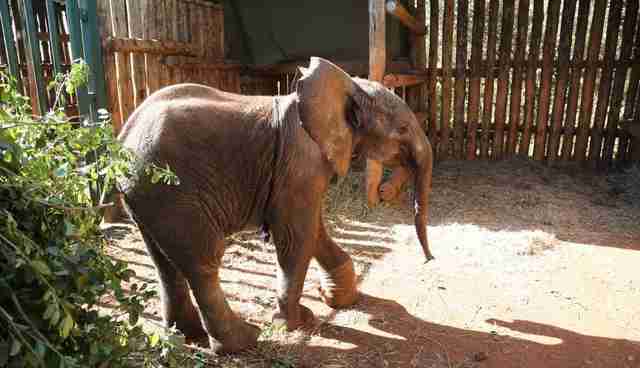 Mwashoti had three long weeks of carefully supervised veterinary care, all while in confinement. But finally the resilient baby elephant was ready to strut his stuff. 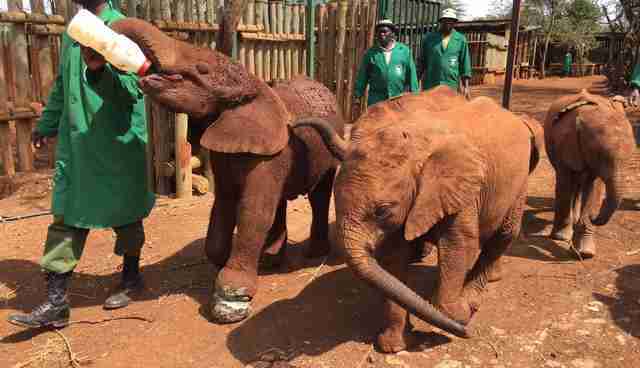 In photos released this week, Mwashoti gallivanted and grazed with a playful posse of fellow orphans on his first forest walk since nearly losing his leg. 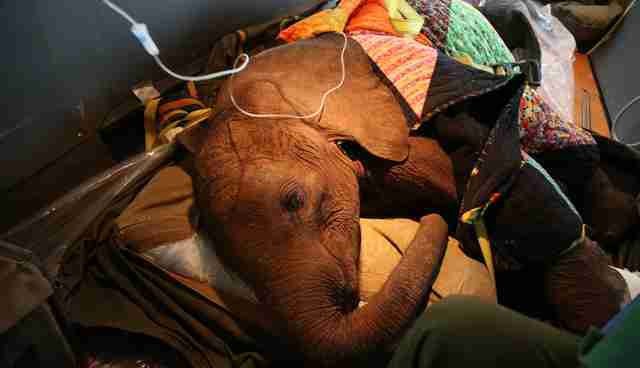 His friends "understood they needed to be extremely gentle around him," the DSWT said on its website. "Their company and love uplifted him enormously." 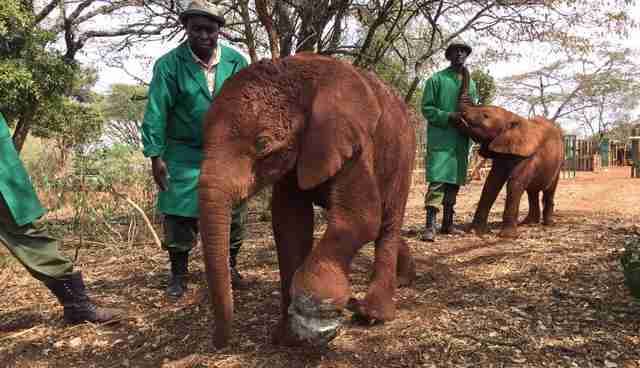 Now that this plucky pachyderm is back on his feet, "he has a long journey ahead of him," Angela Sheldrick, CEO of the DSWT, told The Dodo. "We will continue to give him time to heal, physically and psychologically, from the trauma of his wound and losing his family," she said. 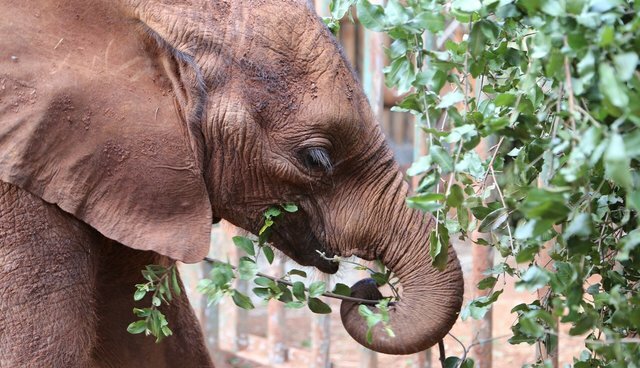 If you want to help Mwashoti, you can make a donation toward the cost of the healing green clay used to treat his wounds.